Pydikondala Manikyala Rao born in the year 1961 is a 55-year-old Indian politician. He is a member of Bhartiya Janta party. He is the son of Subbarao. He is an MLA elected from constituency Tadepalligudem of Andhra Pradesh. He has completed his education till 12th standard and is a businessman by profession. He acquires assets of more than one crore. He is the minister of endowments. His wife is a homemaker. Pydikondala Manikyala Rao is a very religious person. He Offered Special Puja to Lord Ganesh at Kanipakam, Chittoor Dist. This minister can be contacted using contact mediums like phone number, email id, residence address, office address, etc. Manikyala Rao was not a famous name in west Godavari district. Pydikondala Manikyala Rao was a middle-class man who used to run a photo studio. 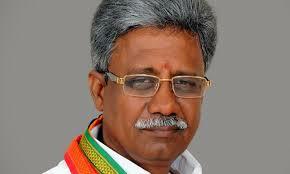 During the elections luck favoured him and he got selected as BJP nominee from Tadepalligudem constituency. 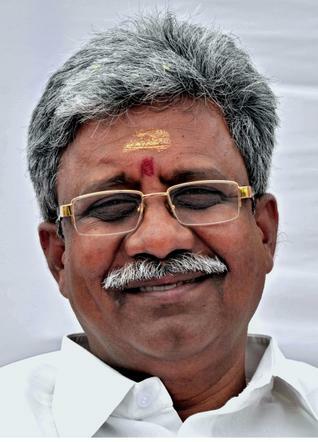 Everyone was doubtful that he would win due to his financial conditions but he emerged as a winner from TP Gudem and became the first candidate from BJP in West Godavari district. After that, CBN took a decision to involve BJP candidates as part of his ministry. Venkaiah Naidu suggested Manikyala Rao name as Minister and CBN assigned him Endowments Portfolio. Due to his modest nature, he asked his family not to attend the swearing-in ceremony and to watch it on the television. This was how a middle-class photographer turned into a minister. Earlier in the month of May 2016, Manikyala announced to set up a National Skill Development Training Centre in the Tadepalligudem town soon at the Chandranna Udyoga Mela programme to enhance the skills of youth. He also laid the foundation stone for NIT at Tadepalligudem in West Godavari district. He also thanked the chief minister of the state Chandra Babu Naidu for this educational development. Manikyala Rao believes in his state. For a long time, there has been a debate going whether Andhra Pradesh should be given the status of a special state. Regarding that Pydikondala Manikyala Rao said that the state of Andhra Pradesh does not require the status of the special category. The state wishes to develop on its own without this status. Pydikondala Manikyala Rao Residence Address: R/o D. No. 01-17-15/3, Geetha Mandir Road, Tadepalli Gudem. Ur comment at this juncture regarding gajal srinivas is wrong.